Invention of the Singer sewing machine, 1850 (1880). American inventor Isaac Merrit Singer (1811-1875) adjusting the tension on his sewing machine in a last desperate attempt to make it work in August or September 1850. 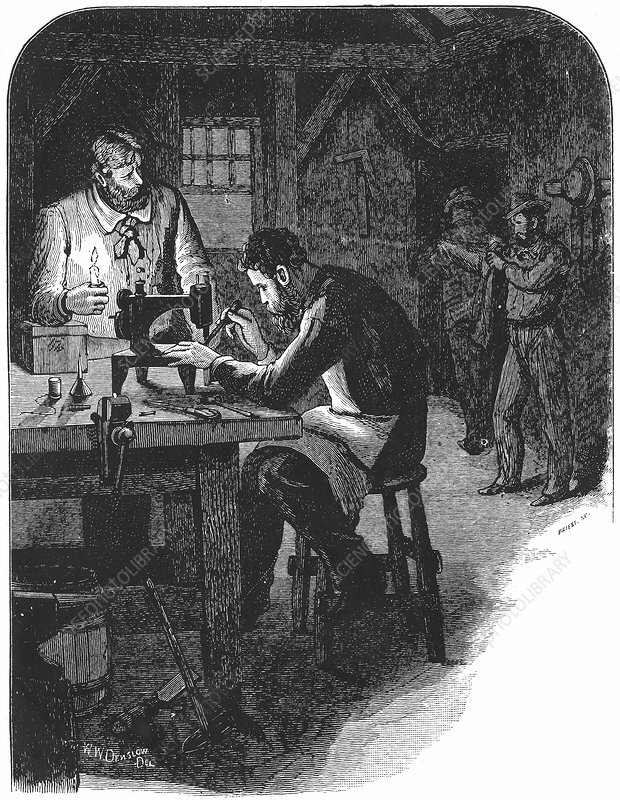 Singer is assisted by a friend, George Zieber, who holds a candle, The machine was patented in 1851 and became highly popular. From Genius Rewarded or the Story of the Sewing Machine. York, 1880).